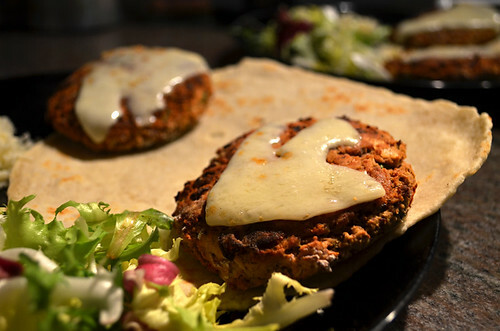 These spicy Mexican bean burgers have become a favourite. Tasty enough to eat on non-fast days when they can be bumped up with even more cheese than the fast day allows. Rating: 459 calories with a bun, halloumi, guacamole and salad. We swap the bun for a homemade flatbread; the halloumi for a sprinkling of cheddar and forget the guacamole so it comes in at a lot less. The beans make it reasonably filling. A came up with the genius idea of cutting the flatbread in two so that we get to eat two stuffed flatbreads. It’s a psychological boost.